U.S. 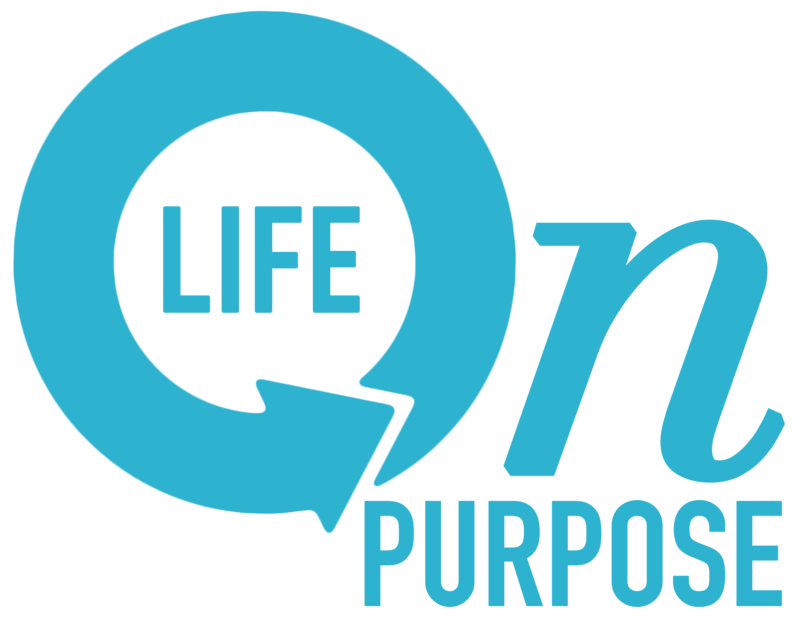 Senator Johnny Isakson – Are you living your "Life on Purpose?" Labeled boxes throughout the office indicated that it was moving day. If relocating the office meant days of packing, unpacking and reorganizing, the stressdidn’t show. There were people scurrying about, stacks of boxes and lists of lists, but the staff tended to business as usual. It was soon apparent that the atmosphere was a testament to the personality of the leader, U.S. Sen. Johnny Isakson. Sen. Isakson, a native of Atlanta, is the real deal. With a simple handshake he exudes warmth and sincerity, and his calm yet confident demeanor is immediately obvious. It is clear that Isakson is comfortable with himself. Conversation with him is like visiting a neighbor, as relaxed as a visit over a glass of ice tea on the front porch swing on a warm, sunny day. Isakson’s fond memories of his hometown have provided him with more than just nostalgia. His knowledge of the rich history of this great city presents the personal passion that Georgia’s junior U. S. senator brings to discussion about matters that affect our city and state. But it was the Christian influence of Isakson’s parents that impacted his life the most by instilling in him respect for himself and others. These values were foundational for making him who he is today. Offering a kind “yes sir” or “no ma’am” is simply what he was taught by the modeling behavior of his parents. Isakson’s constant, telling smile and hand gestures, showed his zeal for his upbringing. He was raised in a family where his parents didn’t just talk about helping others; they found a way to make a real difference without seeking anything in return. The memories were fresh of life lessons learned years ago from his dad. “In most every church, my dad would buy a freezer, put it in the basement, and fill it with turkeys. He would tell the minister – if anyone is hungry, make sure they have food. His favorite thing to do was cook 50 or so chickens on the rotisserie [and] freeze them so that they would be ready for anyone in need. He would check the freezers every couple of weeks and make sure they were full.” The senator is proud of this church-upbringing and Methodist heritage. His involvement with the Methodist Youth Fellowship filled his life with Methodist ministers who impacted his family and his own faith for decades. Today the senator and his family attend Mt. Zion United Methodist Church, where he has taught sixth grade Sunday School since 1978. Through that service, Sen. Isakson hopes to impact young children in the same way that so many teachers and clergy impacted him. Teaching Sunday School is a heartfelt decision, there is no small task for a man of his stature. Making this commitment year after year enables this statesman to use his influence for the good of God’s Kingdom, one child at a time. Jeni McCord, Director of Adult and Family Ministries at Mt. Zion, is especially excited to learn that Isakson has committed to yet another year of teaching because this year it means he will be teaching one of her four daughters. “Maddie is a rising sixth grader and just found out that Senator Isakson will be teaching her class. We are proud to have a U. S. senator with such mature faith, but it is even more exciting having him teaching our daughter,” she said. The lessons Isakson learned from his parents and church have also transferred into his family life today. It is apparent that the senator’s most treasured part of his resume is that of being a devoted husband and father. He and his wife Dianne, of 36 years, have three children and four grandchildren. When asked the secret to a happy marriage, his response rolled gently from his mind. “Patience and mutual respect. A good marriage is a 90/10 roposition, you give 90% and take 10%, and that works both ways.” Isakson first met his wife as a young college graduate. After majoring in business at UGA, Isakson was not at first totally committed to his profession, not until he met a reason to get serious. As he puts it, he had the “inspiration of desperation” and fell in love with Dianne. After marriage, career became a major focus, as Johnny began to reap the rewards of success in real estate. The result was 33 years at Northside Realty, the firm his father founded, with 22 years as president. Mixing faith and business was never one of Isakson’s goals. Not impressed with others who wore their faith on their sleeve, his approach was simply to be his best at all times and allow his lifestyle to represent his character and faith. As a visible community leader, he believed in living a good example as opposed to telling other people they should live a good example, and in being considerate towards everyone. With over 1,000 people working under his authority at one time, he understood that people of many faiths worked for his company. This required sensitivity to the subject of religion and an acceptance of others no matter their background. “I didn’t know what everyone’s religion was, but I knew they weren’t all Methodists,” he said with a chuckle. At first glance, adding “politician” to Johnny Isakson’s long resume is like pouring milk over cereal. It goes together. Though he’d had three decades of hard work and massive responsibility, Johnny Isakson was just getting warmed up. Inspired as a youngster, he recalled watching the Republican and Democratic conventions on a small black and white Philco television with his parents in the 1950s. John Kennedy was elected in 1960 when Isakson was sixteen years old. “I think he made a big impression on a lot of young people. Then in college, the Cuban Missile Crisis came up and he handled that so well, that certainly piqued my interest,” he remembered while leaning back as if to take a trip back in time. His community involvement led people to notice Isakson’s ability to lead. His sincerity and success gained recognition from community leaders who ultimately encouraged himto become politically involved. In 1974 he ran for office and lost. Passing it off as a good experience, but not one he hoped to repeat, Isakson ran again two years later. This time he won, opening a new career in politics that initially ran parallel to his business. This included 17 years in the Georgia General Assembly, three years as Chairman of the Georgia Board of Education and three terms in the U.S. House of Representatives before his election in November 2004 to the U. S. Senate. Many people, especially Christians, seek to do God’s will. Such is the case with Isakson. However, his is a story of both inspiration and perseverance. His political career meant running campaigns where he was sometimes defeated and where was surrounded by power and money that impacts many so negatively, but Johnny Isakson has remained true to his family and Georgia. What is the moral of this story? Hard work pays off. In the Bible, God rewarded those with determination. Moses led the people of Israel through the desert for 40 years. David faced a giant. Jesus’ disciples had to leave their families to endure intense daily growth as they came to know him as their Lord. Things rarely came easy. Post-modern culture screams fast-paced everything and instant gratification. This often leads many Christians to seek the easiest route to God’s plan for our life, but time and time again we learn that God’s will is simple – that we become Christ-like and learn toknow God intimately. That happens as we surrender our lives to His purpose, one day at a time and walk with Him daily. It’s not always a career move or a call to something different, it’s a mind set. It’s an understanding that God’s will can’t be “found”, it must be believed. It is simply trusting Him each day to lead us forward, giving Him access to our heart and allowing Him to make us whole. Though some people are born into wealth and success, most have to work for it. Even when a minister is called into the ministry, he or she still must attend seminary. It’s how God uses a life journey to bring about His plan. Such is the case with Johnny Isakson. A fascinating journey of success obtained the old-fashioned way – one wise decision at a time. Yes, this is a story about someone successful. Moreover, it’s a story about seizing opportunities with faith in God, not getting lost in your own self importance, and realizing the secret to a happy life is found in enjoying one day at a time. Previous postOld: out. New: in.